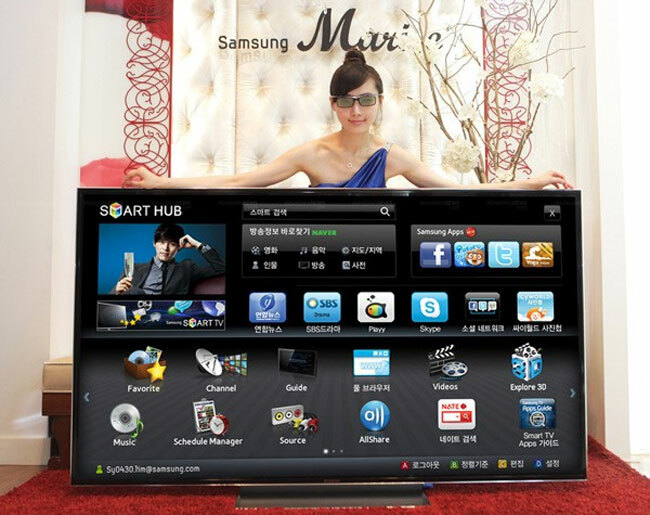 Samsung has launched a new smart TV in Korea, the D9500 which features a massive 75 inch 3D display. This LED backlit 3D HTDV features a black diamond panel, and also features Samsung’s Smart Hub built in. It comes with a QWERTY Smart TV remote, and uses active shutter 3D technology, the 75 inch display makes it the worlds largest commercially available 3D HDTV. The Samsung D9500 will go on sale in Korea for about $17,500, there are no details on when it will be available in the US and Europe. Have a look at our handy a OLED TV Explained guide for more information on the latest HDTV’s.